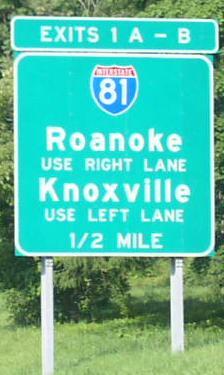 Interstate 381 is a short expressway running from I-81 south into the City of Bristol. 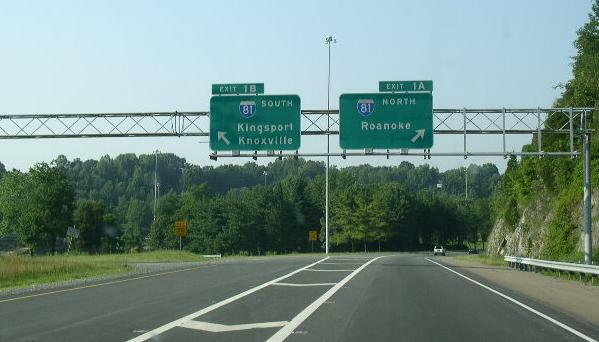 This connects to Virginia State Rtoue 381, which leads into the heart of Bristol. 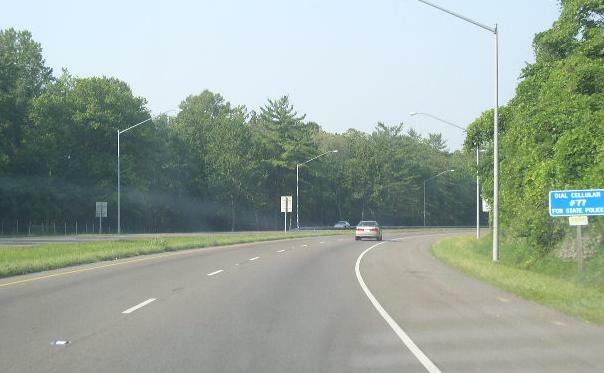 While in Virginia, I-381 is not multi-plexed. 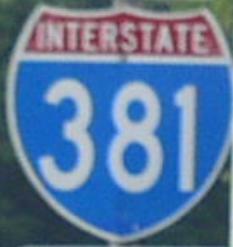 In Virginia, I-381 crosses the following interstates. 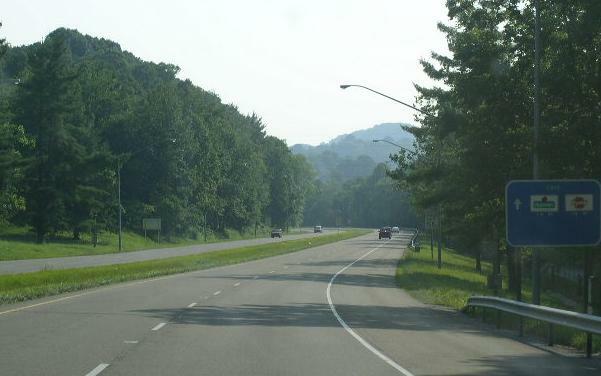 BGS on NB I-381 for I-81. 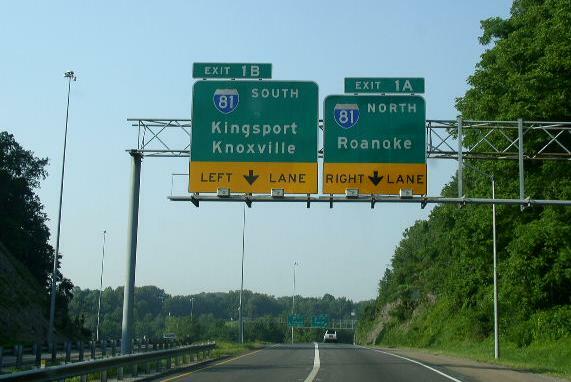 Info on the parent route to I-81. 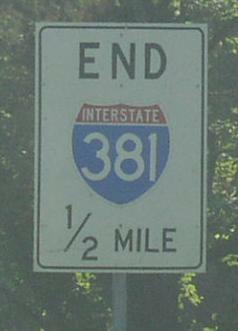 First indication of the end of I-381. SB I-381 near the end. 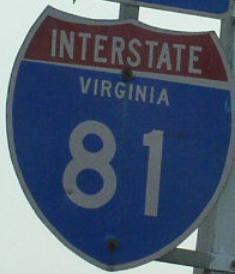 SB I-381 at VA St Rt 381. 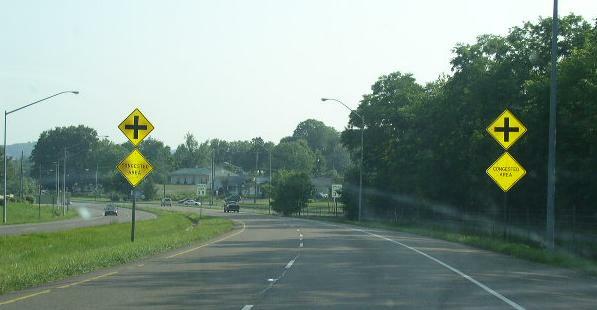 One of the few markers for I-381. 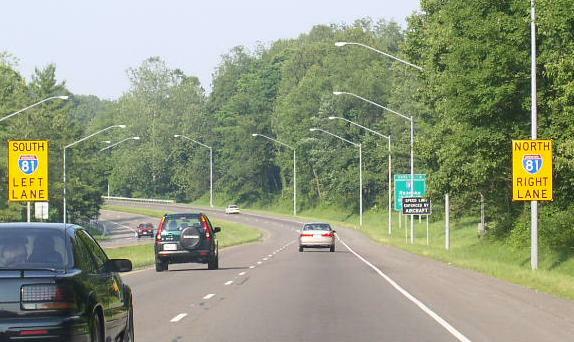 NB I-381 at the start of the highway.